In an era of traditional media being replaced by digital, agencies, consultancies and tech companies have business offerings that cross-over like never before. This has led to an industry focus on the viability of the client-agency relationship. In light of this, marketing and agency-search consultancy, R3, sought to identify the 40 strongest client-agency relationships. The Global 40 report reviews the top 40 client-agency relationships that have stood the test of time and proven themselves to be efficient and effective. 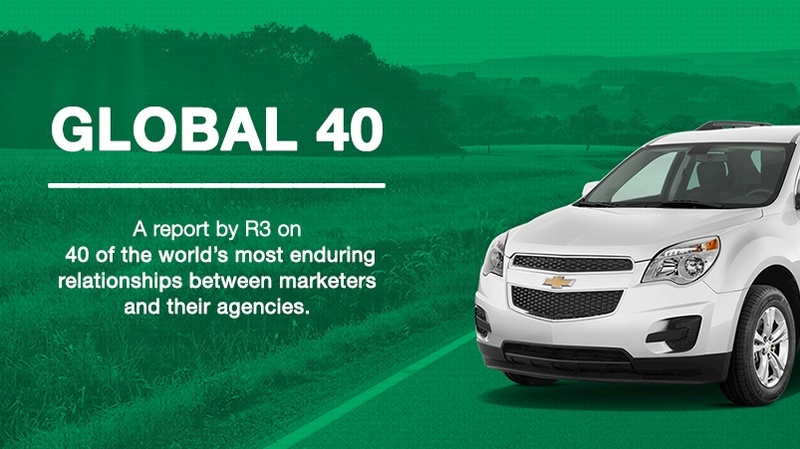 To determine the 40 best global relationships, R3 reached out to more than 50 of the world’s marketers and agencies with a call for submissions. We are proud to reveal that our relationship with Enterprise Rent-A-Car was ranked eleventh in the report. Isobar has been Enterprise’s digital Agency of Record for almost three years, and has spearheaded the creation of compelling digital content to inspire and engage customers, a first in the car rental industry. Find out more about the R3 report here.